Behind all the “bipartisanship.” dimpled-chad Democrats are sharpening their knives for the next round of electoral combat. But David Horowitz, whose Art of Political War helped put George W. Bush in the White House, is back with an indispensable manual for wartime politics. If the Democrats thought we’d forget who demoralized our military, eviscerated the CIA, and let America become a playground for terrorists, they’re in for a rude awakening. How to Beat the Democrats is a sure antidote for politics as usual. For Democrats, politics is permanent war. Every conflict is a contest for power, every battle is about burying their enemies—Republicans. 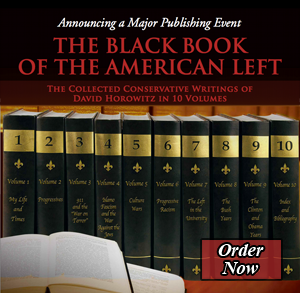 With racial shakedown artists and intolerant “progressives” rearing their heads at home and terrorists striking at us from abroad, Horowitz’s uncompromising and principled commitment to freedom is needed more than ever. Horowitz’s opening salvo shows why the Democrats can’t be trusted with the nation’s security. For years, the party has subordinated sound defense policy to a radical ideology untamed even by September 11. Horowitz’s unmatched strategic powers are on full display in his enumeration of the principles for a winning political campaign. Returning to the subject of war, he concludes with an expose of the anti-American escapades of Noam Chomsky and his comrades of the unrepentant left.